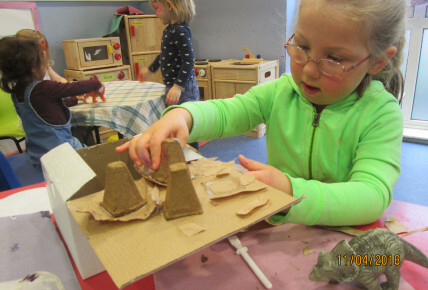 Busy Bees in Harlow - Dinosaur day! 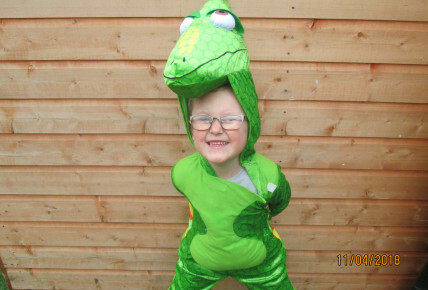 Today we have all been getting into the dinosaur spirit at Harlow Nursery. 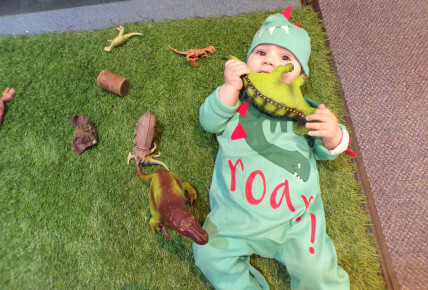 Lots of children wore their favourite dinosaur clothes, we even had some real life dinosaurs in our pre-school room with dressing up and face paints! 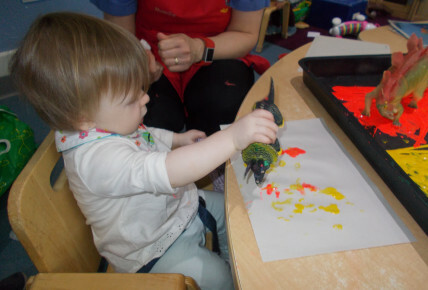 Our under 2's enjoyed their Dinosaur egg hunt in the sand, reading dinosaur books and getting very messy with dinosaur foot printing. 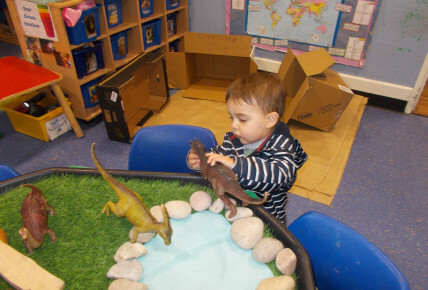 Our toddlers had a very busy day playing in their dinosaur caves, exploring dinosaur ice eggs and playing in their dinosaur role play area too! 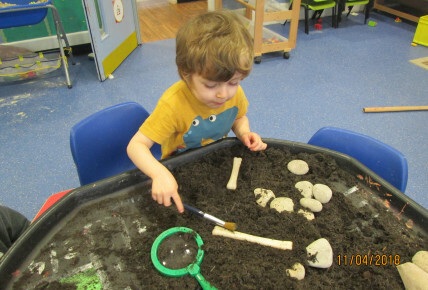 Pre-school took part in a fossil digging activity searching for bones with magnifying glasses, they explored dinosaur eggs and also did some beautiful dinosaur colouring. But the most egg-citing part of the day was having green dinosaur cakes for pudding at tea! !